The students at the Holliswood School had wonderful mornings during our Jazz Breakfast Cafe for the past few months. Every morning during this period my second grade students piloted a breakfast program in the classroom. While having a nutritious breakfast which was prepared by the hardworking cafeteria staff, the children listened to energizing jazz and blues music. 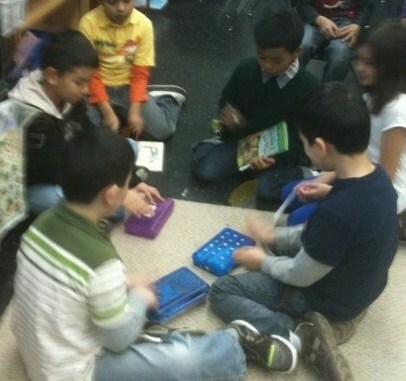 First Pic above shows children jamming with their pencil cases. It was such a pleasure watching the circle grow. 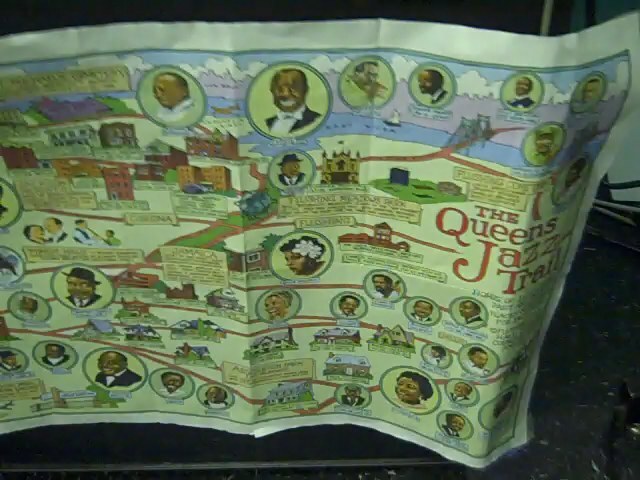 The second pic shows the Queens Jazz Trail map. The Holliswood School is in Queens, NY and while learning about many of the famous jazz musicians the children were also learning about present and former gifted residents of Queens. They had the opportunity to study the Jazz Trail map during their breakfast time. Do you know that John Coltrane lived in Queens for awhile? Yes he did! He lived on Mexico Street. For further information on the Queens Jazz Trail visit the Flushing Town Hall site, and discover other famous musicians who lived in Queens. Piloting the breakfast in the classroom program and adding the music was a nutritious way to start the school day. Our school nurse often remarked on the success of the Jazz Breakfast Cafe. She noticed how happy and at peace all the children were. Perhaps you would like to start your school day with a Jazz Breakfast Cafe. The Kids for Coltrane really enjoyed the experience!! !